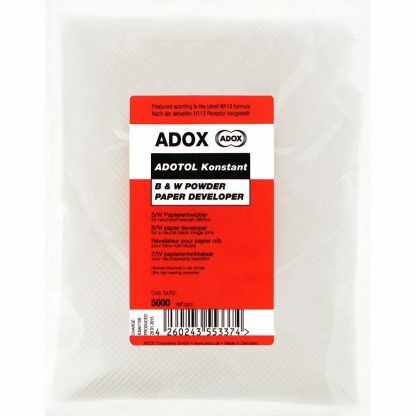 Adox Adotol-Konstant Paper Developer is a universal developer identical to the Calbe N 113. 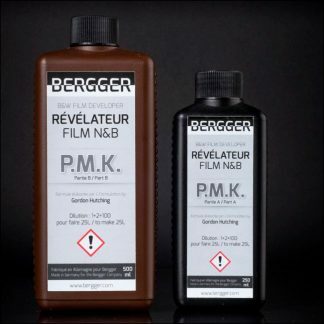 This powder developer offers a high working capacity and produces a neutral-black image tone. It works consistently until failure and is very long-lasting. 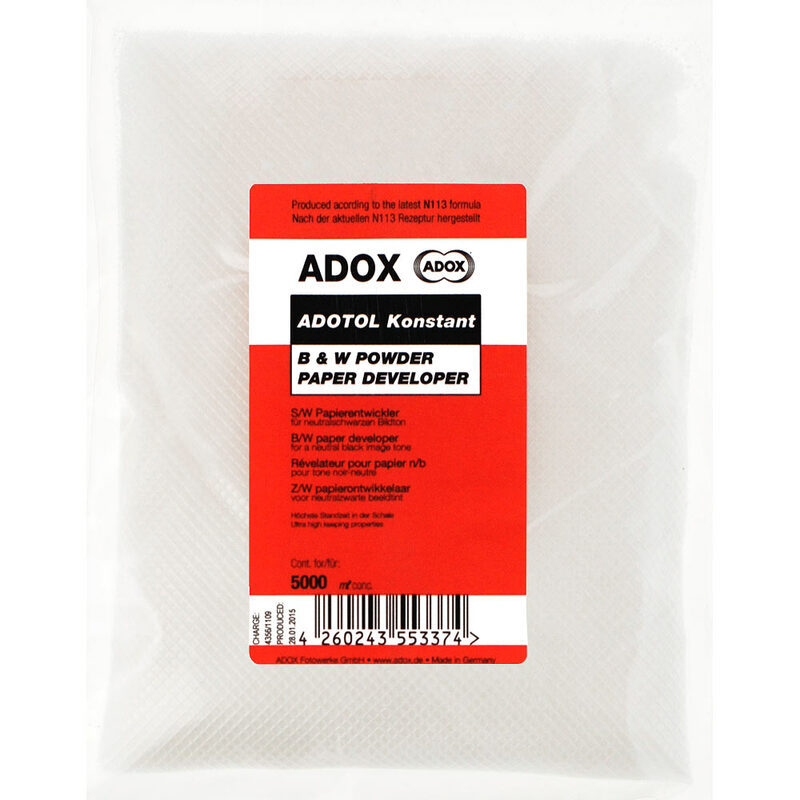 Adotol-Konstant developer will remain fresh for a long time, even when left uncovered in a tray. 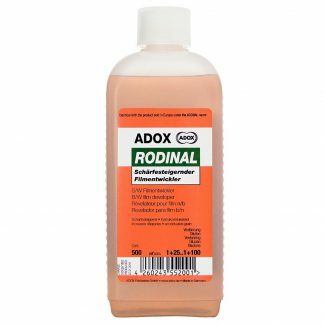 Because it is a powder developer, it will outlast any liquid concentrate developer in terms of shelf-stability and working capacity. 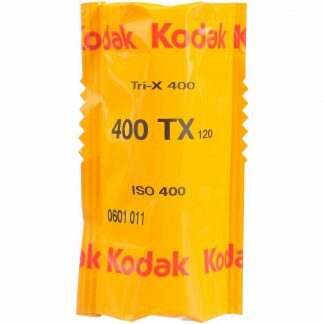 For ease of use and to save money, I will take a bag of powder chemistry, measure/weigh it out for 1 or 2 liters and keep the measured amounts in plastic seal-tight bags. 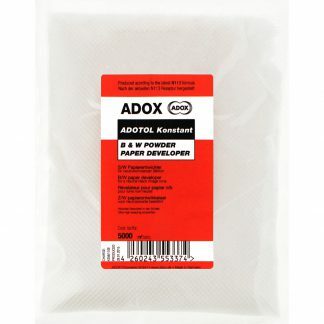 This way, a bag of powder developer or fixer lasts much longer because I only mix what I need. 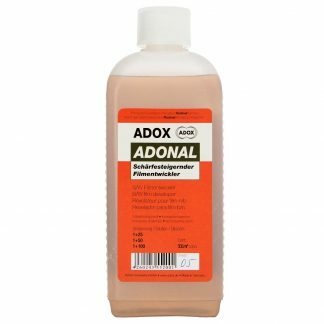 With Adotol-Konstant Paper Developer you can also mix up the 5 liters and then split it into 5 x 1-liter storage bottles. The developer will remain fresh for 6 months in a fully-filled bottle.